It’s the Most Wonderful Cheg of the Year! I changed up my routine today. Normally I am a creature of habit, but today was – lets just call it a DAY and move on, so I took myself to the local Starbucks and saw the wondrous sight for CHRISTMAS! I really do not appreciate Christmas before Remembrance Day, but in this case it was comforting. A huge change for me happened today. There was some tears, hugs and playful knocks. I have carried around some stress about it for a week, it all let loose today and it’s a relief. On the way home, I decided to treat myself to a really GREAT coffee. 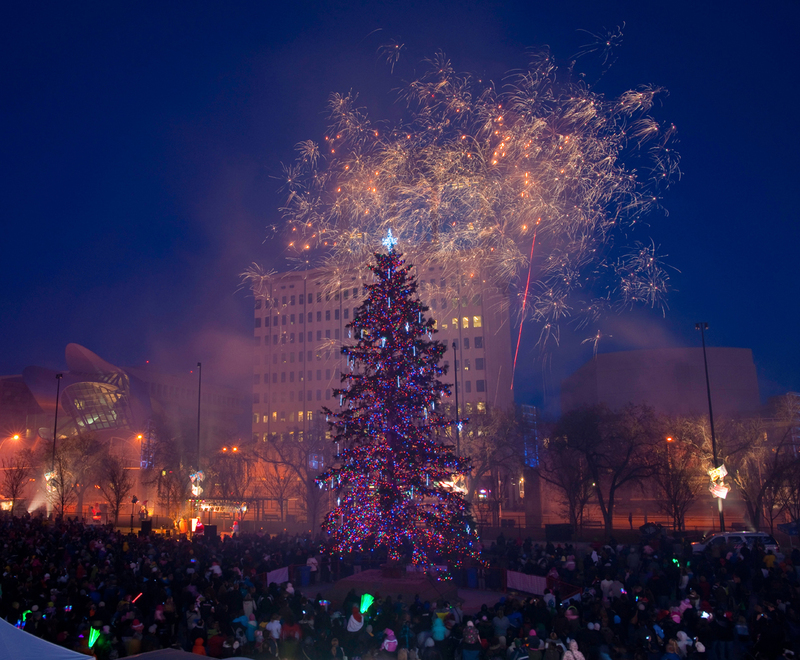 Every year in Edmonton, Winston Churchill Square has a Winter Festival. It is lights, trees, sleigh rides, hot chocolate, roving entertainers, and fireworks. My family likes to celebrate the beginning of the Christmas Season by attending this festival. We wander around enjoying the entertainment. We participate in the light countdown and stand together as a family as the fireworks go off overhead. Cheg is my beverage of choice. The taste of the warm spicy chai mixed with the creamy taste of eggnog all heated to an extra hot temperature = divine family time. My mom called earlier this week to make plans to go to Christmas on the Square on Saturday. In all honesty, I forgot. My mind has been busy working ahead in my University class and thinking about work. It all came back to me as I walked through the door to Starbucks and greeted with the Red and White Christmas Signs. Edmonton is often refered to as Festival City. This will be festival #11 for me this year. Hmm #11. That is a very special number for me. So this just might be the best festival yet! Sounds magical – hope you have a wonderful time on Saturday! Thanks for the explanation of a cheg – the kind of beverage I would love, too! Have one for me. Hope you are okay after your DAY yesterday – blessings to you from chilly but sunny London! The DAY is over 🙂 Time to move forward and start feeling the excitement! I would love to have a Cheg for you! 2 YAY!